Haman is one of the most nefarious characters in all of Tanach. He threatened the very existence of the Jewish people. As we have seen in our discussion of many personalities in Tanach, his character is not in a vacuum in history, rather he is very much connected to past events. Indeed, the Gemara goes so far as to find an allusion to Haman in the very beginning of the Torah. When Adam HaRishon eats from the Tree of Knowledge of Good and Evil, he hides in guilt from HaShem. HaShem, giving him an opportunity to acknowledge his mistake, asks him where he is, and then asks, “Did you eat from the tree (hamin haeitz) which I said not to eat?” The word ‘hamin’ is spelt המן which are the exact letters of the name Haman. It is obvious that it is no mere coincidence that Haman’s name appears at this point in the Torah. The obvious question is what is the connection between Haman and the sin of Adam HaRishon? In order to answer this question, it is first necessary to analyze the nature and role of Haman’s ancestor, Amalek in the world. The commentaries note that the gematria (numerical value) of Amalek is the same as that of the word, safek, meaning doubt. 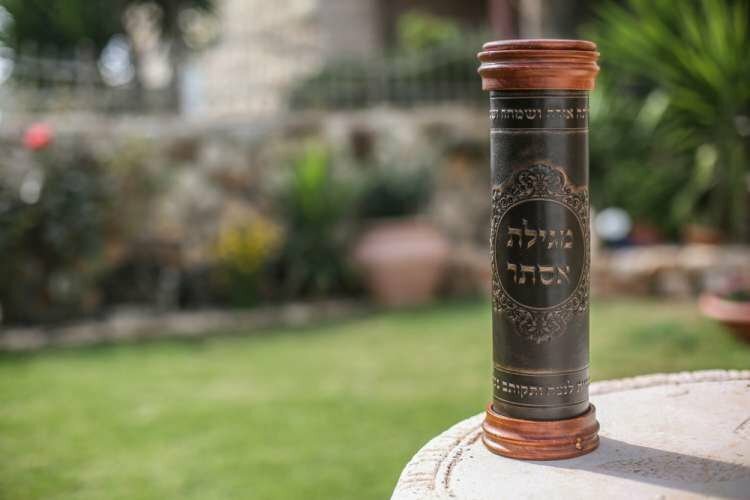 Amalek gains power when there is a weakening in Emuna and people doubt HaShem – this does not just refer to belief in HaShem’s existence, but also in His involvement in the world, and His all-giving nature. Immediately following this episode, Amalek attack. Rashi writes that HaShem said that measure for measure for their lack of Emuna, Amalek will come and attack, and they will need to return to HaShem to save them. This sets the precedent that whenever the Jewish people turn away from HaShem, He so to speak turns away from then and hides himself, allowing our enemies to attack, as a mechanism to remind us to turn to HaShem. This was very much the situation in the Purim story. After the destruction of the First Temple and the exile, the people were at a new low in Emuna. It was the height of hester panim whereby Divine Providence is far less evident, and the open miracles that accompanied them in the First Temple were a distant memory. The Megilla begins with Achashverosh making a seudah, where he dressed as the Kohen Gadol, and used vessels from the first Beis HaMikdash (Temple). The commentaries explain that the Prophet Yeremyahu had prophesied that after 70 years the second Temple would be rebuilt, but it was not totally apparent from when the 70 years began. Achashverosh made the seudah because he erroneously calculated that the 70 years had passed and the Temple had not been rebuilt, indicating that it would never be rebuilt. By dressing as the Kohen Gadol and using the vessels of the Beis HaMikdash he was communicating to the Jewish people that they had no hope of another Temple and that he was replacing the Kohen Gadol. Their attending this seudah represented their acceptance of his arguments, and their lack of Emunah in the rebuilding of the Beis HaMikdash. As a result of their weakening in this basic tenet of Emunah, Amalek was given the power to threaten the Jewish people again, through Haman’s decree to wipe out the whole nation. As was the case in the first battle with Amalek, this threat served to return the Jewish people to Emunah. Indeed, Chazal state that Achashverosh’s decree of destruction of the Jews did more to arouse them to do teshuva than all the rebukes of the Prophets. How does all this connect to the Adam’s sin of eating from the tree of knowledge of good and evil? The very first time that there was a weakening in Emunah of HaShem’s perfection was when the snake said to Chava that if she would eat from the tree, she would never die, and that HaShem did not want her to eat from it because she would then be like Him, knowing good and evil. Rashi adds that the snake claimed that HaShem, so to speak, ate from the tree which gave Him eternal life, and did not want anyone else to be like Him. Sadly, on some level, Chava accepted his arguments and ate from the tree. In this way, the tree was central to the first time that a person weakened in their belief in HaShem’s unlimited and all-giving nature. It is possible to add that a consequence of this was that HaShem, hid Himself in a certain way when He asked Adam if he ate from the tree. Of course, HaShem knew that Adam had eaten from the tree, and He wanted to give Adam the chance to admit his mistake, but it is also possible to suggest that because Adam and Chava weakened in their belief in HaShem’s perfection, He in turn gave them an opening to think that He was not perfect and did not know everything that was happening. Had Adam recognized his mistake and immediately repented then the consequences of the sin would have surely been far less serious. We can now see the connection between Haman and the sin of eating from the tree. The sin of eating from the tree represented a weakening in Emunah and a subsequent hiding of HaShem’s presence. The sin of eating from the seudah of Achashverosh likewise represented a weakening in Emunah and a subsequent decrease in open Hashgacha, allowing Haman to threaten the Jewish people. The difference between the two stories, is that after HaShem so to speak, ‘stepped back’, Adam did not repent, whereas in the Purim story, when HaShem stepped back, and allowed the decree of destruction, the Jewish people recognized their error, and returned to HaShem. Based on all the above, it should be not surprise that the Kabbalistic sources write that Esther was a gilgul (reincarnation) of Chava, and Haman was a gilgul of the snake. Both Haman and the snake thrived on a weakening of Emunah. The effect of the snake was not destroyed at the time of Adam’s sin, but it was severely diminished in the Purim story. The example of Haman and his connection to Adam’s sin reminds us of the central role in Emunah in ensuring there is no opening for Amalek and his ilk to step in and threaten our existence.